Lacuna Coil are currently rocking European cities, with shows scheduled up to the winter holidays. But they’ve also started planning a new record for next year. 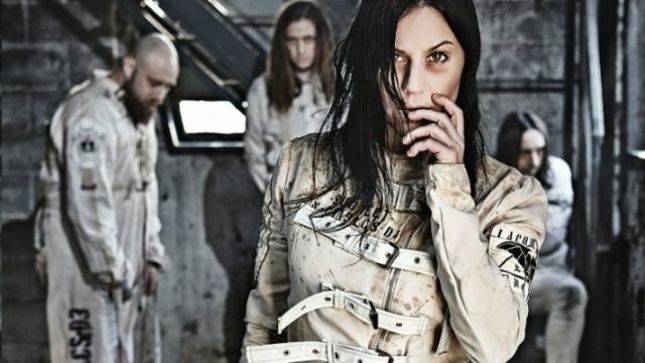 “Hopefully we’ll make it,” promised singer Cristina Scabbia. However, don’t get your hopes too high just yet. These days the band is entirely focused on the release of their concert album/DVD The 119 Show – Live In London (Nov 9) and their first book, titled Nothing Stands in Our Way. The band promised that “as soon as we’ll be back home after the Euro tour that we are approaching, we will focus on the songwriting, and then the thing will be real, but so far, we didn’t really have a lot of time and, most of all, the right mindset to compose new music. We want to do it in a very serious way,” Scabbia underlined. To things not so serious, Lacuna Coil played a Halloween-related show at Lucca Comics in Italy on October 31. In a recent interview with La Repubblica, the band recalled “all the meetings: the short one with Marilyn Manson at Kerrang! Awards and the most intense ones with Rob Zombie and Glenn Danzig of Misfits,” reveals co-vocalist Andrea Ferro. Lacuna Coil’s first new book, Nothing Stands in Our Way, is due Nov 28. It includes photos, memorabilia and artifacts from the band’s career. See the full interview to La Repubblica below (in Italian). Be the first to leave your comments and stay tuned with AlteRock Facebook and Twitter to never miss on the news about your favorite alternative music!